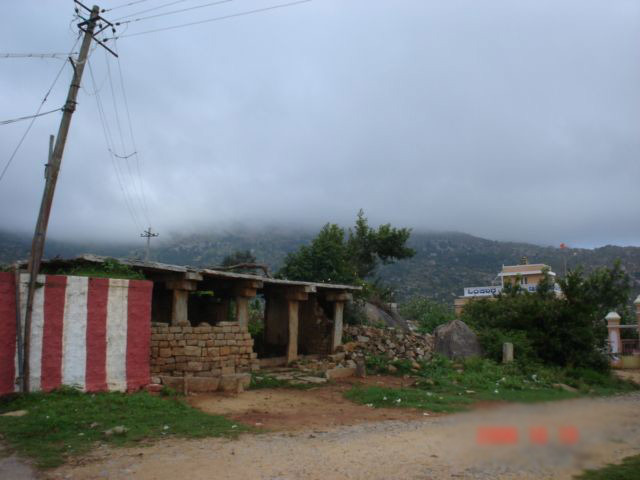 Chickballapur is one of the well known city of Chickballapur district of Karnataka state. 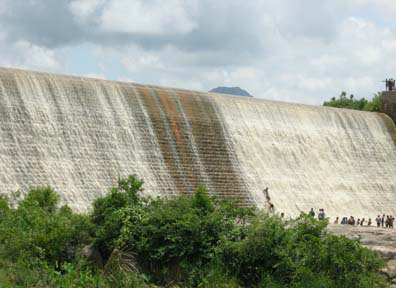 It is surrounded by 5 hills and it is located at a distance of 55 km from the state capital Bangalore. In Chickballapur most of the people are agriculturists belonging to backward classes. The Government of Karnataka formed Chickballapur taluk in 1968. It consists of 250 Revenue villages, 22 Grama Panchayaths and 1 City Municipal Coucil. Annual rainfall in the town is 15cm the kind of soil is red. Being well connected with Kolar and other taluk places, the town has developed rapidly. It is famous for its silk business. It is a commercial center and a center of silk industry. 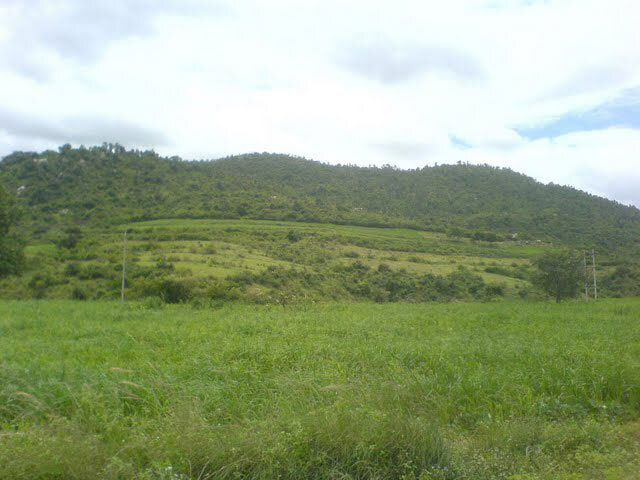 Chikkaballapur district is a newly created district in the state of Karnataka, India. It was carved out of the existing Kolar district by moving the taluks of Gowribidanur, Gudibanda, Bagepalli, Chikkaballapur, Sidlaghatta and Chintamani into the new district.In the language of the state, Kannada, it is called Chikkaballapura.Chikka means small in Kannada. Chickballapur is the District Headquarters of the newly created (2007 August) District of Chickballapur in the state of Karnataka, India. 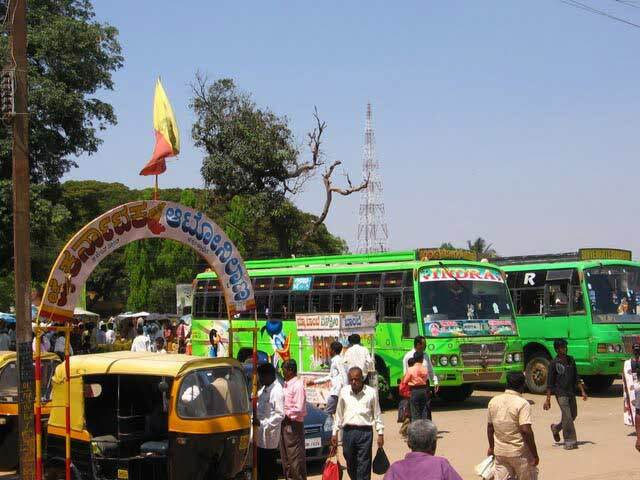 Sometimes, Chickballapur is spelled Chickaballapura.It is well connected to important towns by the state run buses. The nearest airport is at Bengaluru. 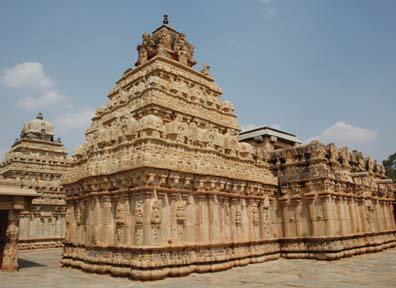 The temples of Chikballapur district are astounding creations in the south Indian state of Karnataka, bearing the magnificent Chola architecture. Chickballapur District consist of 6 taluks. 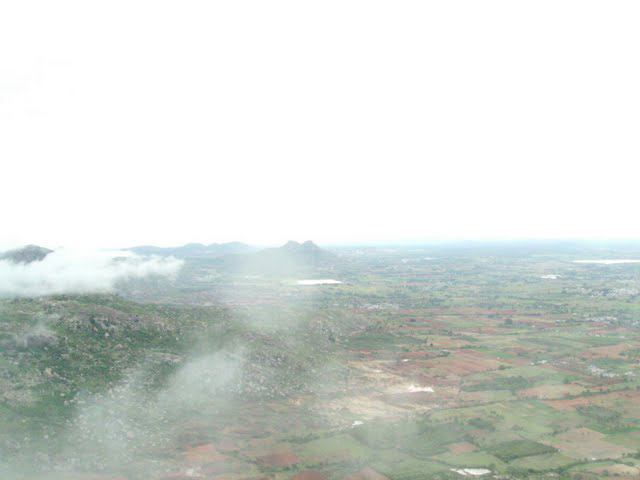 The town of Chickballapur is approximately 56 km north of Bengaluru (formerly Bangalore), the silicon plateau of India. The north-south National Highway NH-7 goes through the town. The ruler of Avathi Mallabiregowda's son Marigowda was hunting one day at Kodimanchanahalli forest. A rabbit was standing in front of the dogs without fear. Seeing this, ruler was very happy and told his son that is due to the boldness of the people of this place. As such the ruler took permission from king of Vijaynagar and built a fort and formed a town. This in future becomes chickballapur. During the ruling of Baichegowda king of Mysore attacked the fort but had to withdraw due to the interference of Marathas. Sri Dodda Byregowda who came to power after baichegowda acquired the land, which was taken by Mysore king. In 1762 during the ruling of Chikkappanayaka, Hyder Ali captured the town for a period of 3 months. Then Chikkappanayaka agreed to pay 5-lakhs pagodas, and then the army was taken back. After this, Chikkappa Nayaka with the help of Murariraya of Guthy tried to get back his powers. He was hiding at Nandi hills along with Chikkappa Nayaka. Immediately Hyder Ali acquired Chickballapur and other places and arrested Chikkappa Nayaka. Then with interfere of Lord Corn Wallis, Chickballapur was handed over to Narayanagowda. After knowing this, Tippu Sultan again acquired Chickballpaur. In 1791 British occupied Nandi & left Narayanagowda to rule the town. Due to this fight between Britishers and Tippu Sultan again started. Narayanagowda lost his administration. Later on British defeated Tippu. Chickballapur also came under the administration of Wodeyars of Mysore, which is now a part of Karnataka. The prominent language spoken is Kannada. Other languages like Marathi, Urdu,Telugu and Gujarati and many more are also spoken by small portion of population. 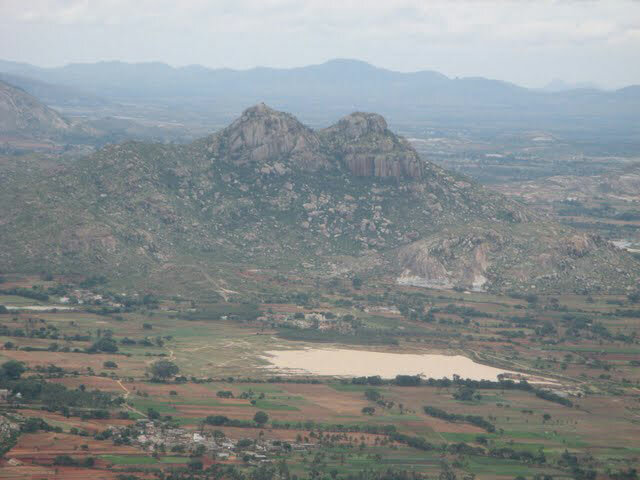 How to reach Chikballapur District? 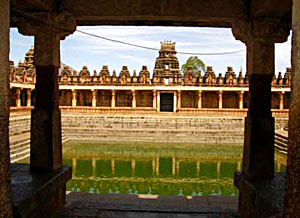 The temples of Chikballapur district have rare combination of traditional Chola forms and contemporary style of constructions. Rangasthala is a beautiful temple in this district, located on the way from Chikballapur to Gouribidanur. 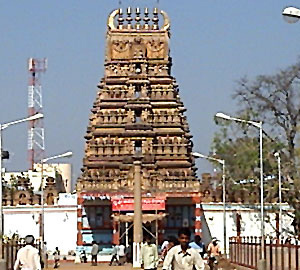 This temple is built in the Vijayanagar style and dedicated to Lord Vishnu. Bhoganandeeshwara Temple is one of the important temples of Chikballapur district; situated in the Nandi village constructed around 806 A.D. by Rathnavalli of Bana Dynasty is in Dravidian style. This temple is widely known in south India for its ancient architecture. Sri. Arunachaleswara temple is located nearby Boganandiswara temple built out of soapstone. This temple is one of the unique examples in this district that suggests the innovative art. 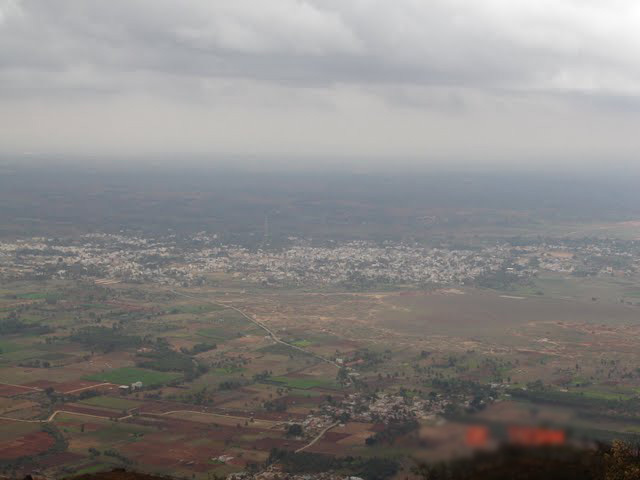 The famous hill station of Nandi Hills is situated nearby and within the jurisdiction of Chickballapur taluk. The eminent engineer and statesman Sir Mokshagundam Visvesvarayya was born in Muddenahalli, about 3 km. from Chickballapur. Many historic temples are situated in and near this town. There are many educational institutions are situated in Chickballapur. SJCIT[Sri. Jagadguru Chandrashekaranatha Swamiji Institute of Technology] is a famous engineering institute established in 1986 and imparting education at the level of BE. Sri Bhagavan Sathya Saibaba's school and college are about 3 km. from Chickballapur. 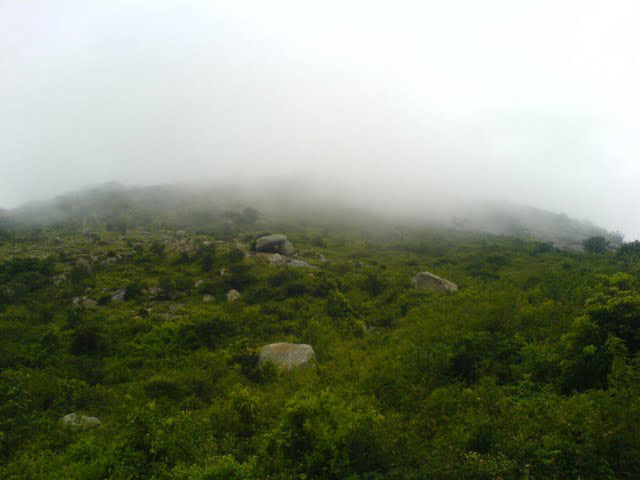 Nandi Hills or Nandi Durg is located in Chickballapur Taluq and is just 3 to 5 km away. Chickballpur has a small lake called Kandavara Lake which is dry most of the time. 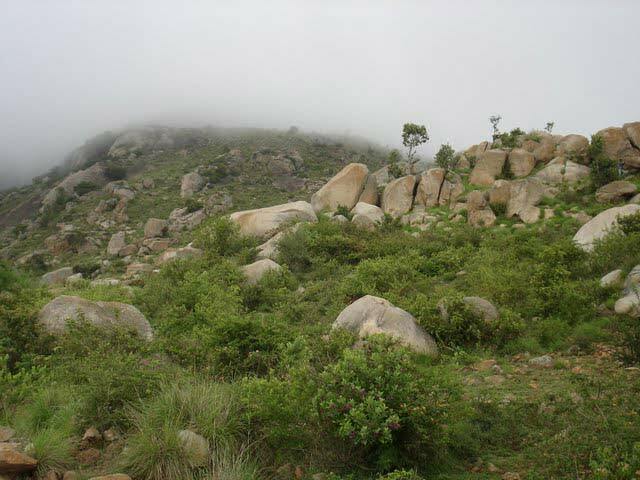 "Panchagiri" is a common word used in Chickballapur as it is surrounded by 5 hills among which Nandi Hills is the famous one. 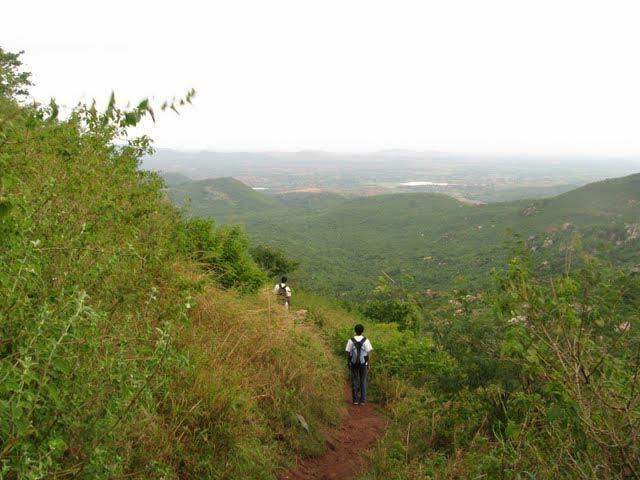 The Kalavara halli hill Kalavaara betta, is becoming famous because of the trecking involved to reach the top of the hill. There are five hills, locally known as Pancha Giris. The five hills are known locally as Nandi Giri, Chandra Giri, Indra Giri, Brahma Giri, and Hema Giri. Chintamani: This town is named after its founder Chintamani Rao, a maratha chieftain. 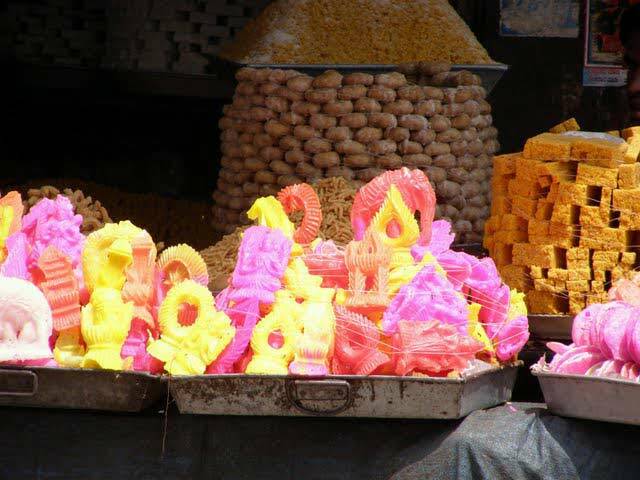 It is famous for its gold and silver trade.and its agarbathi (incense) industry. Gummanayaka Fort: This fort is situated 16 Kms. east of Bagepalli, was founded around 1350 by a feudatory chieftain. Gummanayaka and ruled for several years by him and his successors. It is noted for its fortified circular rock, that rises 150 ft above the surrounding hilly tract. Rangasthala:On the way from Chikkaballapur to Gouribidanur, this village has a beautiful temple of Lord Ranganatha (Vishnu) in the Vijayanagar style. Kaivara:This town is associated with the epic, Mahabharatha. Known as Ekchakrapura, this is where the Pandavas lived in exile, incognito. Bhima, one of the Pandava brothers is said to have killed the asura (demon) Bakasura, who was tormenting the people. 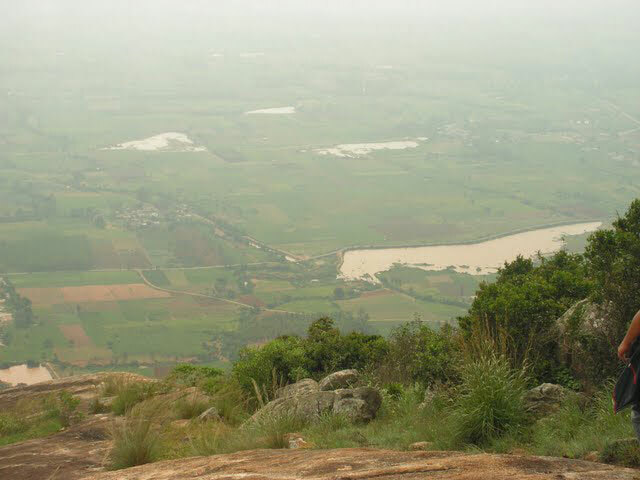 Tippudrop:A steep deep in the south west of Nandi hill is named as Tippu drop. During Tippu's regime Prisoners punished to death were pushed from this point. 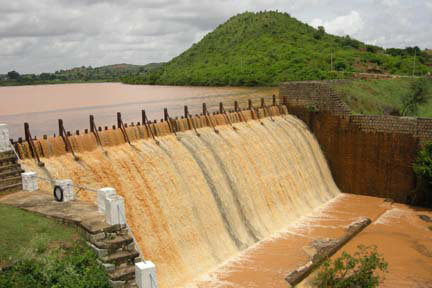 Jakkalamadagu Dam:Jakkalamadagu is the main source of drinking water for Chikballapur Town. Neharu Guest House:Pandit Jawaharlal Nehru visited Nandi hills. A Guest house has been constructed in his memory, which is maintained by the department of Horticulture. Nehru Nilaya was the venue for SAARC summit. 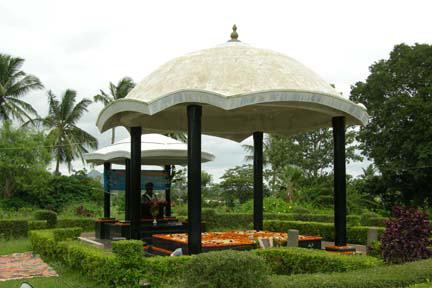 Viswesharaiah Tomb: Tomb of Sir M.Visweswaraiah at Muddenahalli, Chikballapur. Srinivasa Sagara Kere:It is a beautiful lake, near chikballapur. 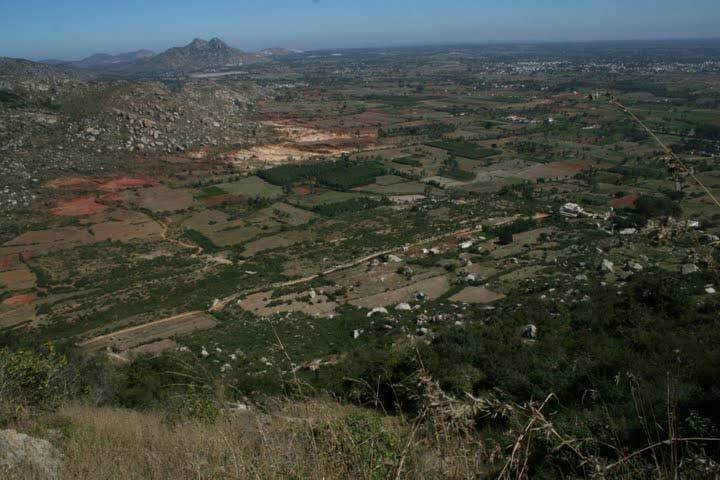 Bhoganandeeswara & Yoganandeeswara: Nandi hills are a resort at a distance of about 60km north of Bangalore. Here, are wo ancient temples, the Bhoganandeeswara temple at the foothills and the Yoganandeeswara hill temple. Surasadmagiri Hill-Gudibanda:Surasadmagiri hill is located to the north west of Gudibanda Town. Byregowda a palyagara who ruled over the constructed a fort on the hill is a historical sight. 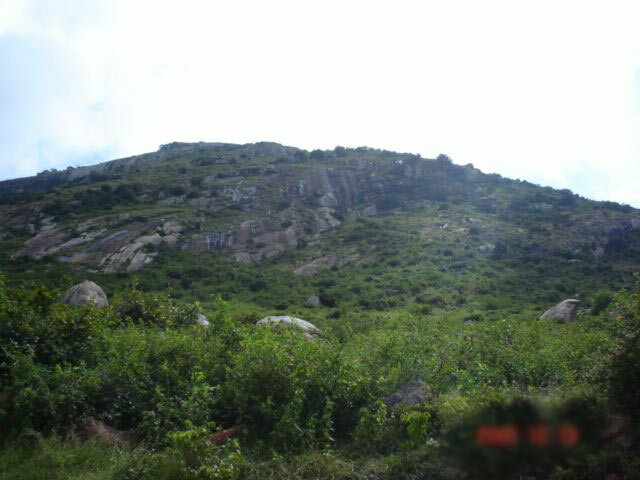 Skandagiri: Skandagiri near Nandi Hills though not so famous as the later. You can reach Chickballapur (55 km) in one hour by bus. 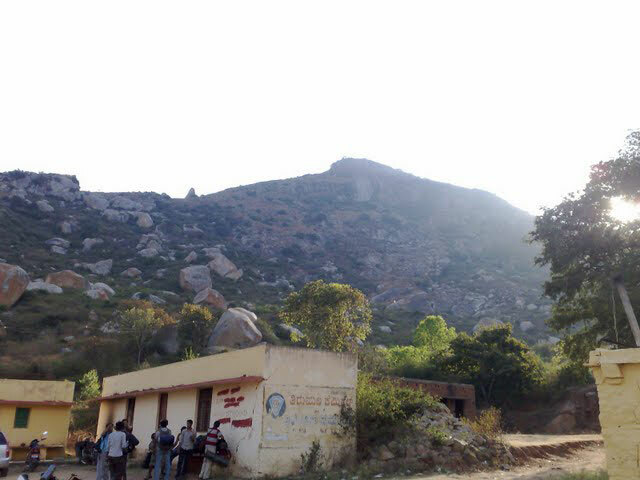 From there, you have to go to what is known as Paapagni Math (5 kms) and that is the foot of the Skandagiri. There are some old temples at the top and a small water spot. 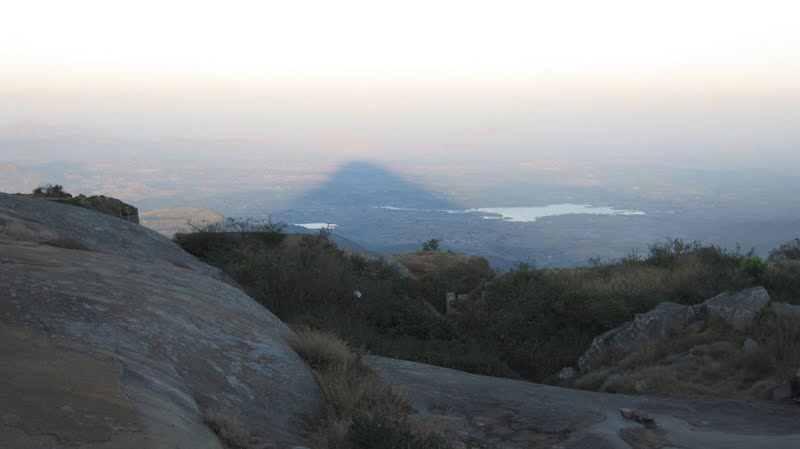 Amrutha Sarovara : This lake atop hill is formed by the water-lets flowing from the hills. It has clear cooling water with does not dry throughout the year. Brahmashram It is said that Sage Ramakrishna Paramhamsa meditated here. It's a cool cave with serene environment. 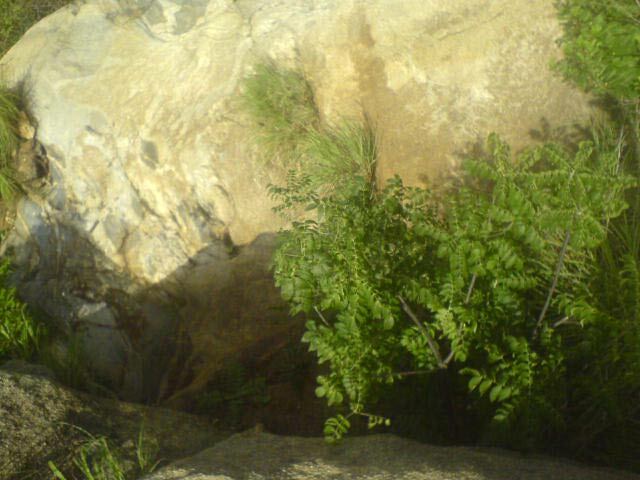 The place has big rock structures. 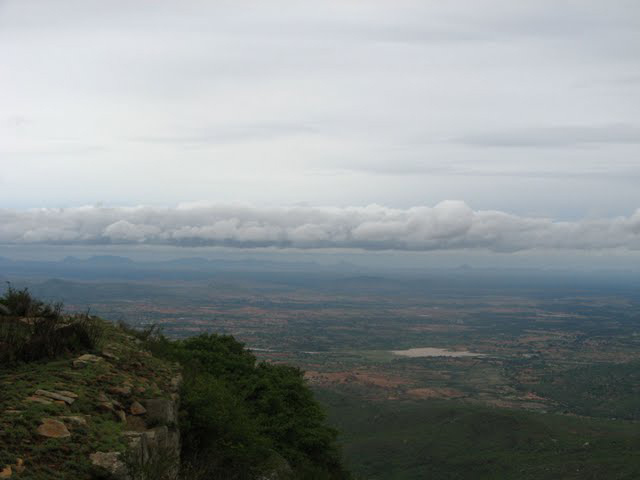 Nandi Hills provides modern, well-furnished accommodation for tourists. 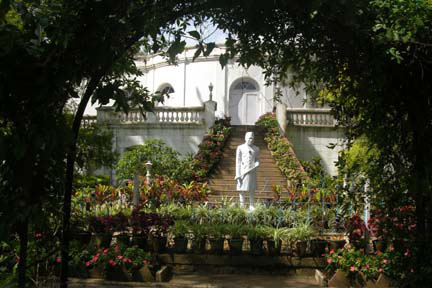 Nehru House, Gandhi House, are the Government guest houses. The Horticulture Department runs a vegetarian restaurant and the Karnataka Tourism Department runs a vegetarian / non-vegetarian restaurant "MAYURA".There are many resturants and dhabas enroute for short eats.